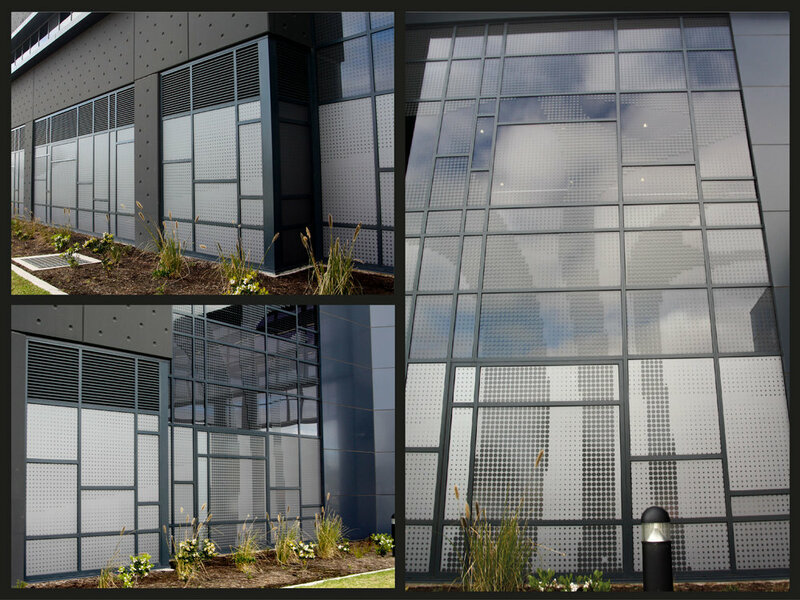 Here is a great example of our Precision Cutting service on an external facade for St Vincent’s Hospital in Werribee! In cutting out both the positive and negative space within the design you can see that the effect is both eye catching and practical as the panels on the ground level allow for additional privacy where it’s needed. A similar technique was used on the Shepparton Law Courts facade which was a series of precision cut rectangles that by alternating the width of the rectangle created an impressive gradient effect. It is with great pride that we can finally share with you one of our larger projects of 2017 - the striking south facade of the brand new Shepparton Law Courts that were officially opened on Friday March 23, 2018 by The Honourable Martin Pakula MP, Attorney-General, in the presence of the Chief Magistrate, His Honour Judge Peter Lauritsen. It was with great pleasure that Tint Design worked along side ADCO Constructions to realise the extraordinary vision of the south facade that was cleverly designed by the team at Architectus. Of the $73 million dollar project this incredibly detailed facade is the result of many hours of cutting, weeding, application and installation of hundreds of lineal meters of precision cut film to hundreds of square meters of glass. After an extensive review of the building timeline and access restrictions it was decided that the entirety of this install would take place prior to the glass being installed to the building. The seemingly random placing of the seven different frit-pattern designs had to match their corresponding glass unit but were installed out of order depending on when the units arrived to the warehouse. This installation puzzle was just one element of the many challenges of taking on a project of this size however our production team worked seamlessly and around the clock to bring this one element of this exceptional design to life. Click here (or on the photo above) for more photos and a 'behind the scenes' look at the installation process. As office refurbishments shift toward open plan layouts that nurture a more collaborative work process, the encouragement has also seeped into the design finishings. A great example of this is shown here at the inner Melbourne city offices of Kytec where a selection of motivating phrases are scattered throughout the office and boardroom that quite literally surround the workers with positivity. In order to execute this project with the right amount of impact (enough to stand out but not to distract) the client opted to precision cut the motives from a variety of colored vinyl. The advantage of Tint Design having a large flatbed precision cutter for these sorts of projects, is that we are able to cut huge graphics with few to no seams. 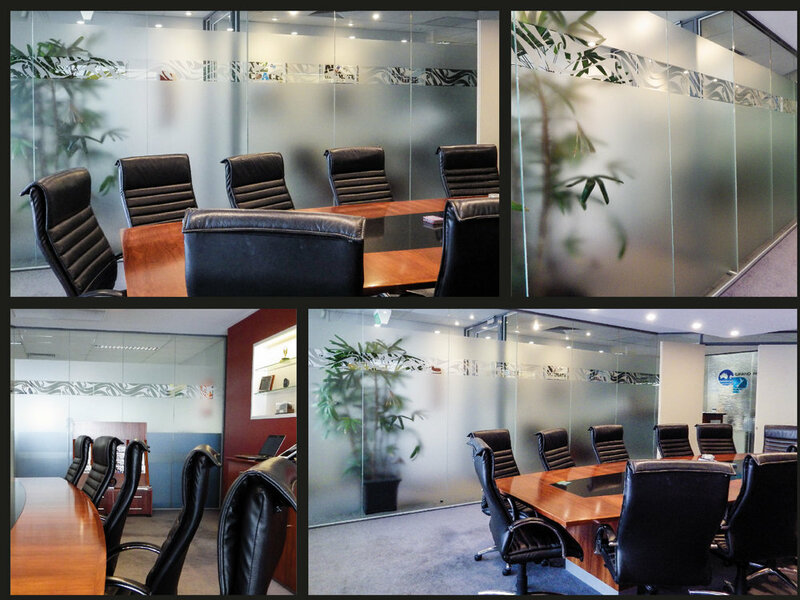 This results in an optically flawless installation that allows the design to triumph in its allocated environment.